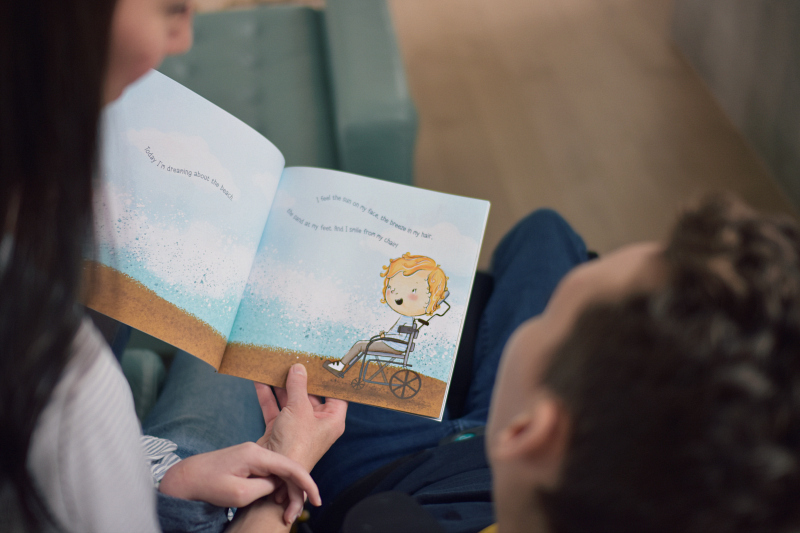 Brennen and I received a beautiful book recently about a little boy named Ben. Benjamin Robert Gerlach loved being outside with the sun in his face and the wind in his hair. He was a triplet, brother, son, friend, student and church-goer. He was also a young boy living with Cerebral Palsy and Epilepsy. But this didn't define him. He loved lights, toys, movement, noises, his preschool class, his brother and sister, and his mommy and daddy. He had many challenges in his short life but lived every day with a smile on his face. After a two-year fight with multiple respiratory illnesses, Ben lost his battle on May 2, 2016. This book is dedicated to Benjamin and shows that everyone can have an adventure. And despite medical and physical differences, all kids can play and dream. 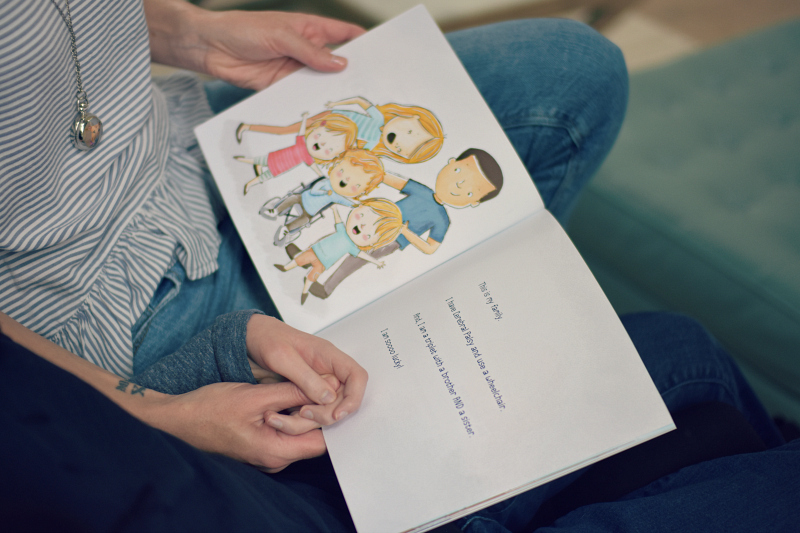 Ben's mom, Elizabeth wrote this beautiful book in memory of her son. She was inspired to develop the Ben's Adventures series as a tribute to her son, allowing him to live on and share that even though his short life was a struggle, he was a little boy first.. with friends, dreams, and a love for his family and his life. In spring 2017, Elizabeth launched the Ben Smiles Memorial Foundation to spread Ben’s story, his smile, and to support their community through gifts and acts of service. 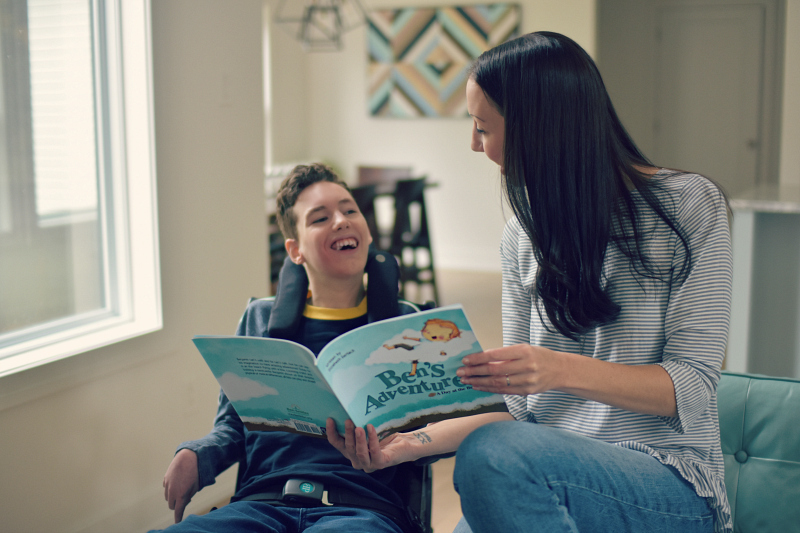 Ben Smiles is dedicated to enhancing the playing, learning and living of special needs kids and their families by gifting toys and other important devices to children like her son Ben. A portion of the proceeds from book sales will support Ben Smiles' mission. Elizabeth believes that things happen for a reason, and this was meant to be their story. "I can't walk. I can't talk. But that's okay! I use my imagination every day." Brennen and I love reading this book together because it is not often that we get to see characters portrayed in stories that have abilities similar to his. We love how Ben uses his imagination to take him on all sorts of fun adventures, and I like to hope that this is what Brennen does as well. 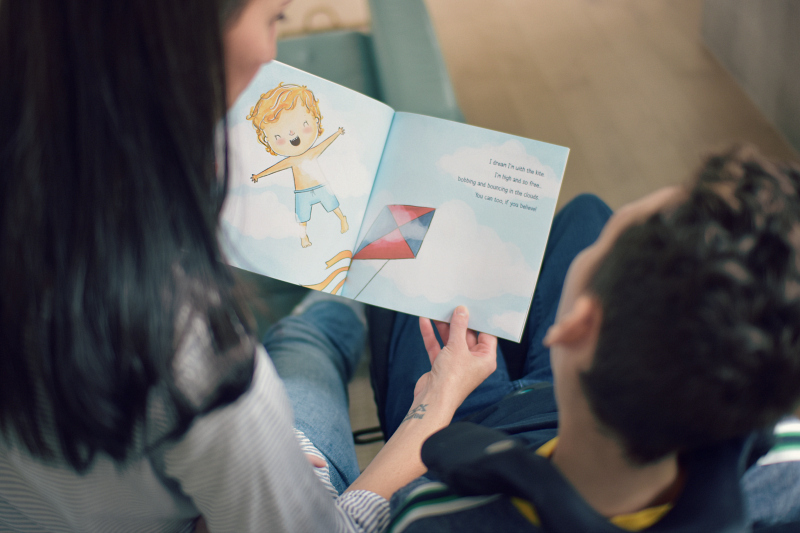 While we try to do lots of fun things together as a family, I am sure that Brennen also imagines himself floating through the clouds, or running on a beach and building sandcastles. That's just what kids do! Their imaginations are limitless and getting swept up in their thoughts and dreams is possibly the best thing that can happen to a little brain. Elizabeth, I am so sorry for the loss of your sweet Benjamin, and I know that nothing can take away the pain of that loss, but you are doing incredible things to keep his memory alive and you are having a lasting impact on families with children like ours. Thank you for sharing your boy with us. Thank you for showing me the power of imagination. I am both inspired and challenged to embrace this ever complex life and to encourage my own child's imagination in every way I can. 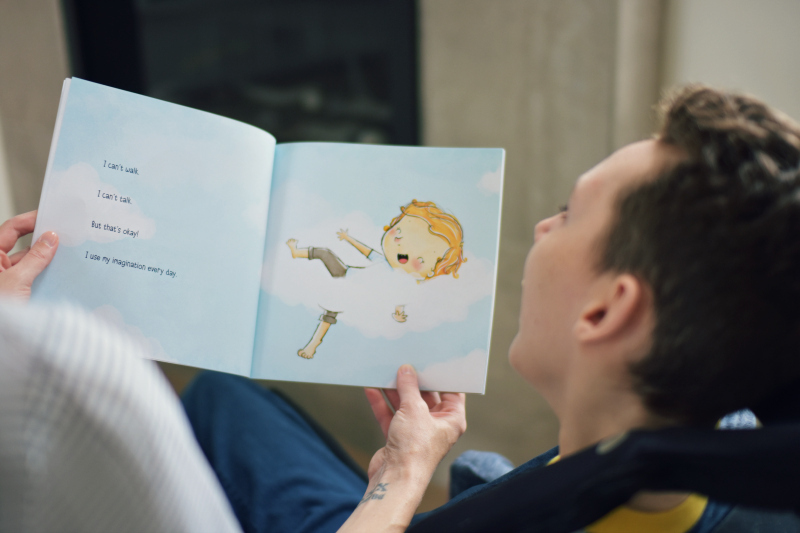 Read more about Ben's Adventures and purchase your own copy of the book HERE!